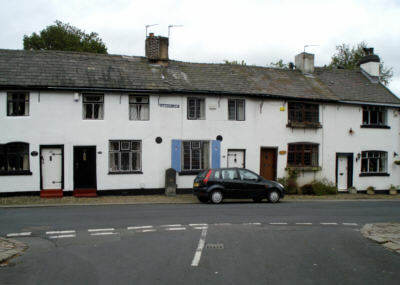 Historic cottages on Currier Lane, once the main thoroughfare between Ashton and Stalybridge. 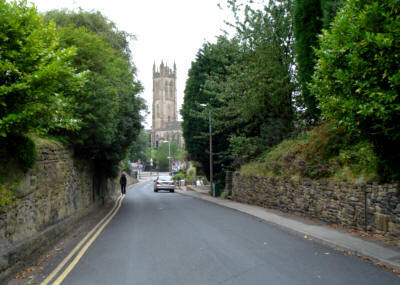 Looking down Currier Lane towards St Michaels Church, Ashton. 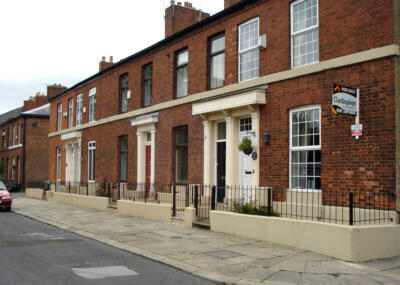 Elegant terraced houses on Grafton Street, off Currier Lane. 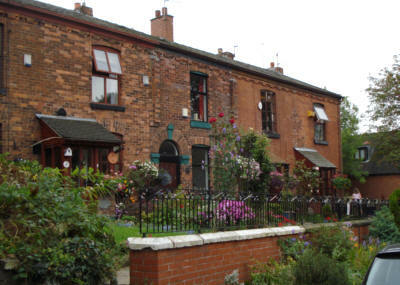 Terraced garden cottages on Currier Lane. 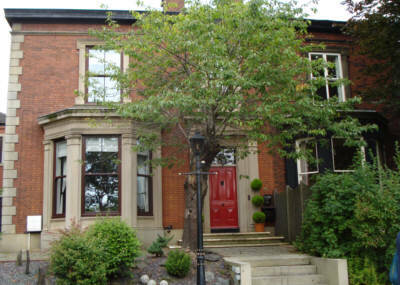 Brookfield, once a grand mill-owners house, now divided into two residences. 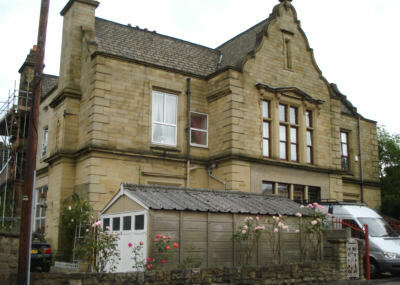 Sunnyside, a large mansion off Currier Lane, now split into apartments. 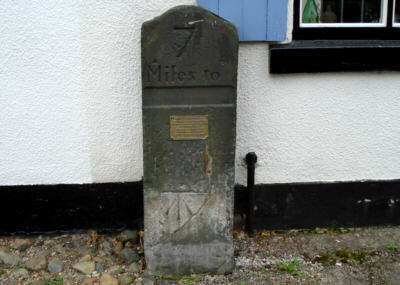 This old milestone on Currier Lane shows that this was once the main route through the area. The word "Manchester" was removed in the Second World War, to confuse any invading Germans. 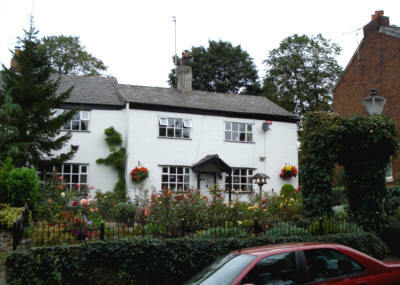 Garden cottages on Currier Lane. Stamford Square, Cockbrook, looking east along the A635 towards Stamford Park and Stalybridge, with the former St Gabriel's School on the left.